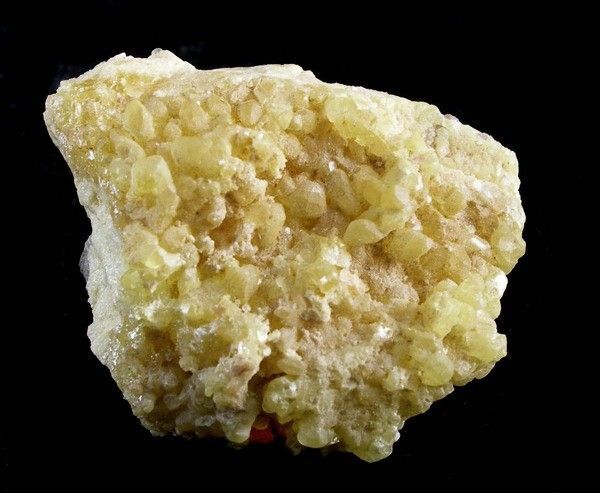 An old-time Sulfur specimen from Agrigento, Sicily and the Jaime Bird Collection. 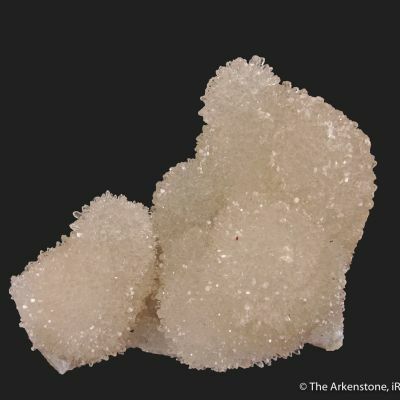 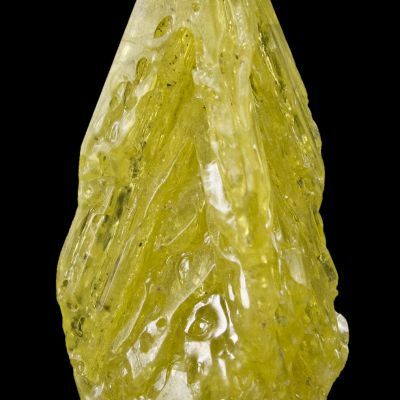 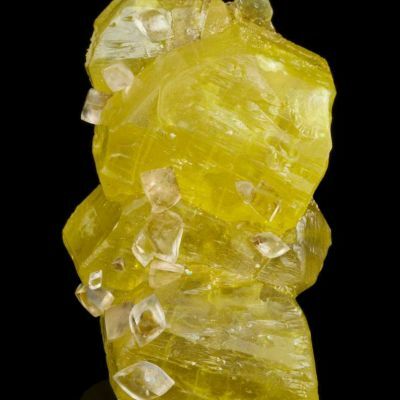 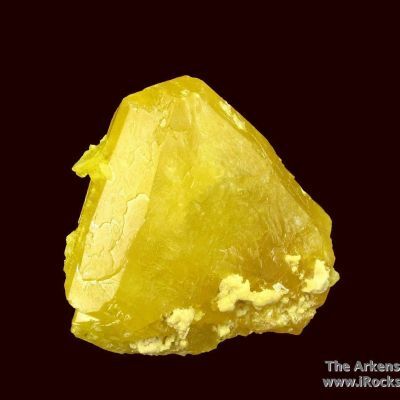 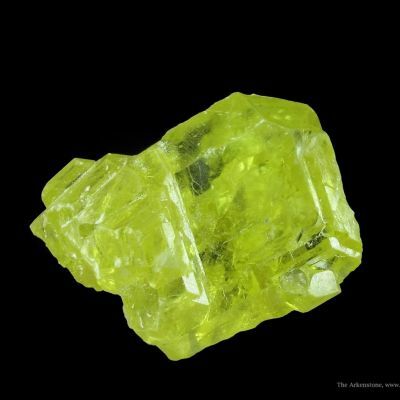 Lustrous, dipyramidal, sulfur-yellow crystals dusted with aragonite litter the massive Sulfur matrix on this piece. 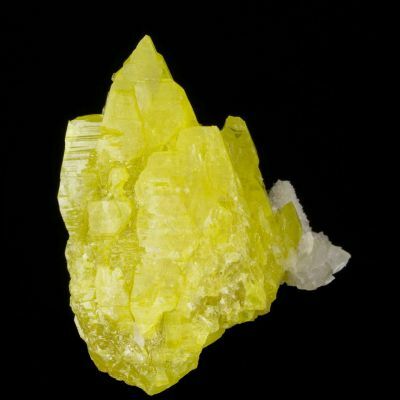 Textbook crystal habit from a classic locale.